Your wife is the queen of your kingdom. She is ready to sacrifice anything for your happiness. Always try to express your love and gratitude to such a lovely wife. 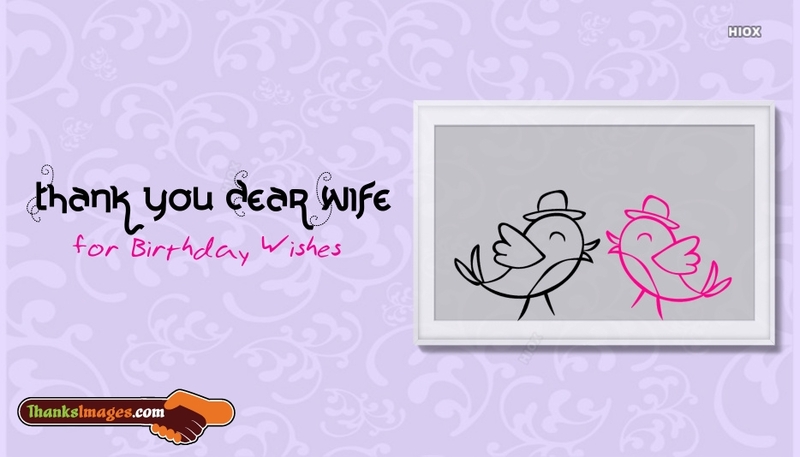 Here is the awesome collection of thanks images for wife which you can use it to show your gratitude to your sweet better half. 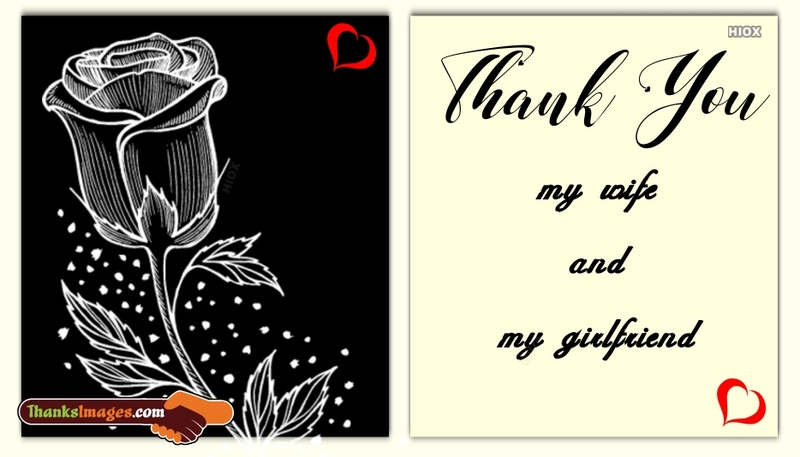 Feel free to download and share these "thank you" images, e-cards, greetings with quotes to your wife and make her to feel your love. You are not just my partner, you are my lover. You are not just my companion, you are my inspiration. You are not just my wife, you are my life. Thanks for everything, you give me wings. Thank you for filling our home with love and happiness. If there was a number higher than zillion, bazillion or gazillion, I would thank you that many number of times for everything you have done for me. I love you. Thank you for giving me the most beautiful children. I love you with all my heart. Your wife is the sweetest person in your life who loves and cares you unconditionally. It is your sweet commitment to thank her for her unconditional love. For that, here we have provided a amazing collection of thanks images which you can share with your wife to express the gratitude coupled with love. Grab from this unique collection of "thank you" images with quotes and messages for wife and share these e-greetings in social media sites like Facebook, Twitter, Whatsapp etc express your love in return. You made me dream, when I simply saw. You made me execute, when I simply thought. You made me listen, when I simply heard. You made me live every moment, when I simply existed. Thank you. Thank you for being my voice of reason, my heart of the matter, and my sounding board. Thanks for having answers to all my questions, remedies to all my ailments and solutions to all my problems. I love you. Thank you for always helping me think clearly, for helping me find the answers to my questions, and for giving me the courage to try. A song, sonnet, limerick, ballad, couplet, verse or ode – no form of poetry has the capacity to express what you mean to me. Thanks sweetheart. Wife is the best human being to all men in their life. Even though you hurt her many times she never stops caring you. Never hesitate to say thanks to such a caring wife during special moments. Make use of the below given thanks images with quotes and messages to send to your wife and make her to realize your love. All these thanks pictures with sayings will impress your wife for sure. You are my dream come true. I have loved you ever since the day I first met you. Even if we didn’t get together for months after that, I never stopped believing that someday you and I would be. Thank you for coming into my life. You helped me regain that part of me I lost when I experienced one of the toughest challenges of my life. You didn’t leave my side when I was doing everything to push you away. Thank you for never giving up on me. You are the best thing that ever happened to me. You still are, and you always will be. I am so grateful to have you in my life. I cannot rank you as a wife because no rate card in this world has numbers going up to infinity. Thanks for being the best.